I dressed and headed for the Solitude Blue Palace. 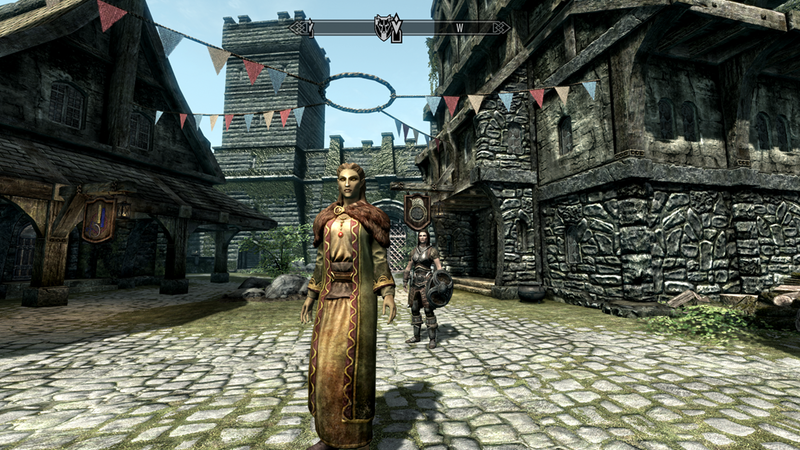 When I visited Radiant Raiment’s a day ago for shoes, one of the shopkeeper sisters asked me to model clothing for the Jarl. It would be an easy, quick way to earn a little money before preparing for further journey. 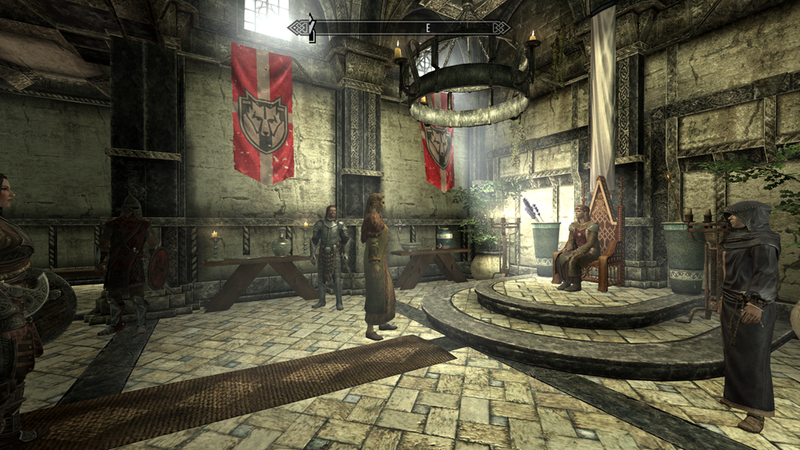 I also needed to impress the court, if I intended to establish titles and estates in Skyrim. The Blue Palace was a step into my past. Fine décor; bustling servants; formality. 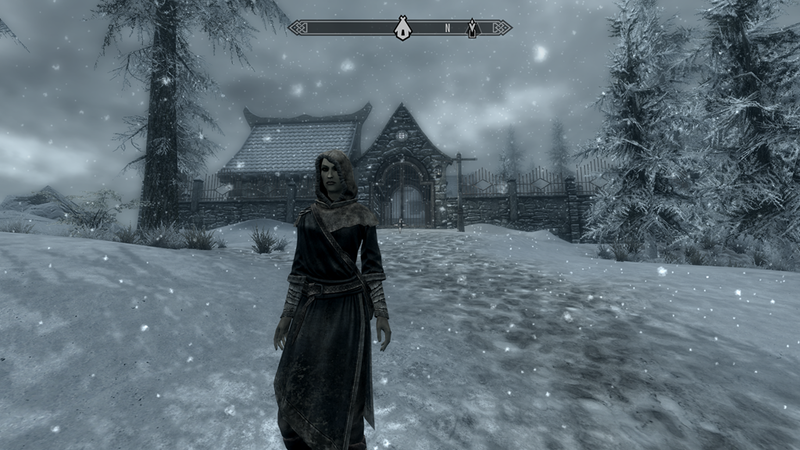 I introduced myself to the Jarl’s steward first. I overheard him discussing a problem they were having with a local township. The locals were complaining about strange noises coming from a cave. The steward thought the issue too trivial to bother with the guards. However, it was the perfect opportunity for me to gain favor with the court. He agreed. With that business sorted, I addressed the Jarl Elisif. I felt a little silly asking her how she liked my outfit. It seemed like something I would ask my best girl friend, not the Jarl of the Skyrim capital. She did, however, respond that she liked it, and said she would order from Radiant Raiment soon. Excellent news that I hoped would aid my payment. Lydia and I set off to sort the problem with the Wolf Skull Cave. Along the way, I came across something that made my heart stop. When my ship crashed, I had hoped to reach the Thalmor Embassy in order to go home. Now I wanted to be as far from it as possible. We made haste away. 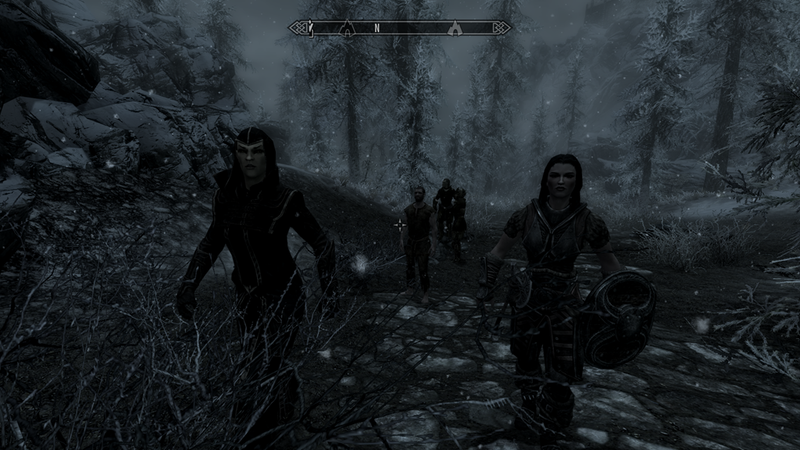 We did not get far before we ran into a Thalmor Justicar patrol. Now that I was not under their protection, I saw them as must the rest of the Empire. Militant. Ruthless. Fascist. Merciless. Terrifying. I stayed clear of them, and vowed not to attract their attention. There was little chance of them knowing my lineage, but best not to give them reason to do research. If my parents were looking for me, they would certainly have sent word to all the embassies on what to watch for. My current dress style was far different than what it would normally be, and my hooded cowl did well to conceal my identity. We found Wolf Skull Cave, and fought out way through daughr and necromancers. Pretty straightforward, no tricky spots. 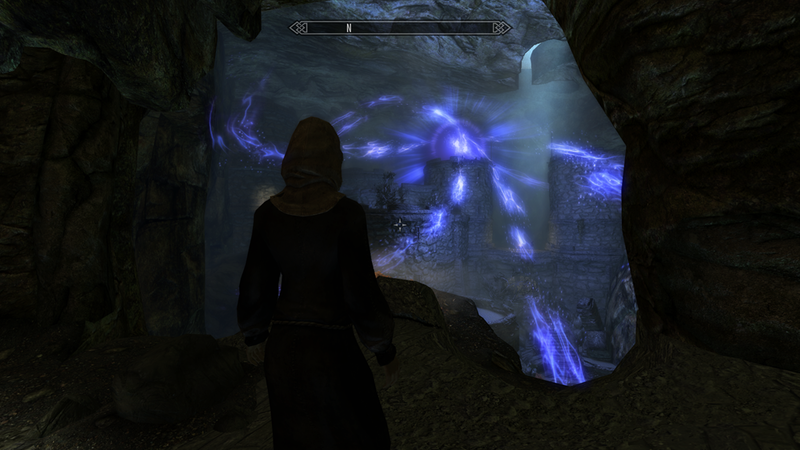 It was a cult attempting to resurrect the Wolf Queen, Potema, making all the noise bothering the locals. We eliminated the necromancers. My strategy for the most part was to make them turn on each other with Fury, set Lydia to draw the attention of the survivor, then assist with flame. On the top tower, I blew a few necromancers off the edge with my dragon shout. Morbid that I took delight in that. I’d ponder the psychology of it later. 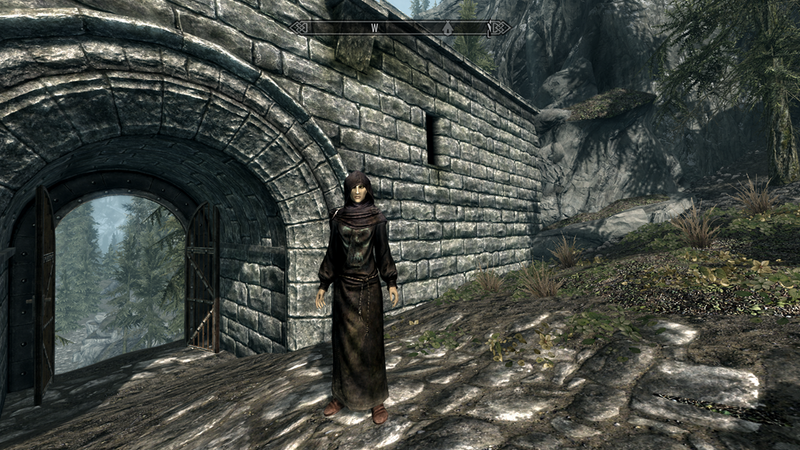 I found the robes from one of them to be quite useful, and took it for my own. Quite fetching, I thought. Except for the silly necromancer skull emblazoned on it. I hoped a few washings would take it out. I sold the treasures collected, and returned to the Steward with the news the Wolf Skull Cave problem was remedied. A good step in establishing my relations with the court. I purchased more spells from the court wizard, leaving little remainder. Needing more coin, an idea occurred to me. 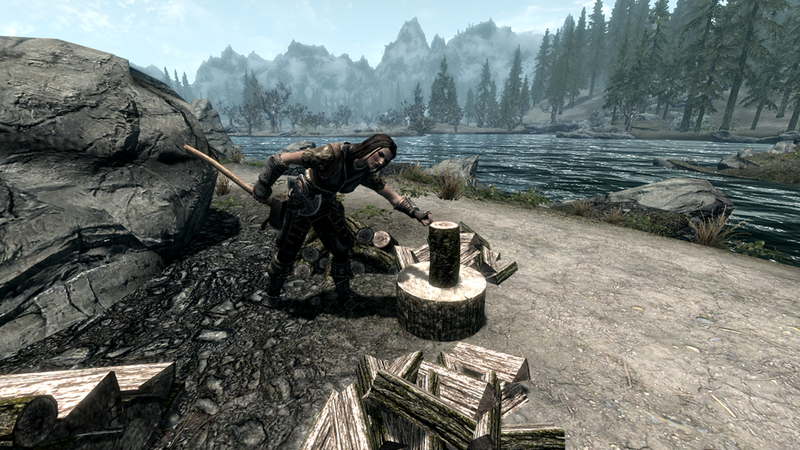 I took Lydia down to the dock, where I spotted a lumberyard. I ordered her to chop the wood. To my surprise, she happily set to the task. Given her bellyaching about carrying treasure from Wolf Skull Cave, I expected her to balk at the manual labor. Well, if she was happy to do it, that suited me just fine. We earned 200 septims before deciding that was enough. I mixed potions at the apothecary, then we returned to the inn for dinner and rest. A good days work. We earned a restful sleep.